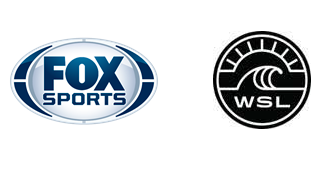 Today, FOX Sports and the World Surf League (WSL) announced a deal to make FOX Sports the exclusive U.S. television broadcaster for WSL’s 2019 Men’s and Women’s Championship Tour (CT), as well as the Big Wave Tour. FOX Sports will telecast more than 500 hours of WSL programming, including live contests and highlight shows, across FOX, FS1, FS2 and the FOX Sports app in 2019. WSL programming premieres on FOX and the FOX Sports app with a one-hour 2019 WORLD SURF LEAGUE PREVIEW SHOW on Saturday, March 23 at 12:30 PM ET. The WSL Men’s and Women’s Championship Tours begin on Wednesday, April 3 in Australia with the men’s Quiksilver Pro Gold Coast and women’s Boost Mobile Pro on FS2 and the FOX Sports app. FS2 will telecast all Championship Tour contests live or close to live throughout the year. FS2 will also present the US Open of Surfing, the premiere men’s and women’s Qualifying Series contest that takes place in Huntington Beach, California each summer from July 27 to August 4. In addition, FS1 will feature eight, one-hour highlight shows after select contests are over. Longtime WSL play-by-play announcer Joe Turpel and former world champion Martin Potter call the action, while Rosy Hodge (former Champions Tour competitor) and Strider Wasilewski serve as commentators reporting from the water. In addition, Ross Williams and big wave champion Peter Mel round out the commentary team. Viewers in the U.S. can live stream all WSL shows on the FOX Sports app. The shows are available on desktop at FOXSports.com and through the app store or on connected devices including Apple TV, Android TV, Fire TV, Xbox One and Roku.